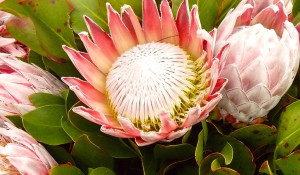 Proteas and their many relatives form an important part of the unique floral kingdom called “fynbos” that is found growing predominantly in the winter rainfall areas of the Southern tip of Africa. Their natural distribution range extends out of this region and into Tropical Africa. 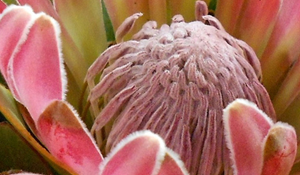 Most of the plants cultivated in local gardens are of South African origin and include many hybrids. 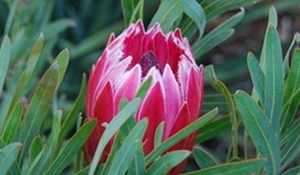 Today most protea plants are propagated from cuttings ensuring strong vigorous growth and the ability to flower from a very young age. 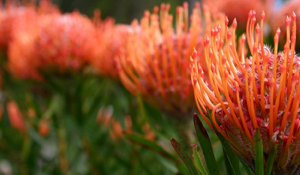 This fact alone makes them highly desirable flowering shrubs with a truly South African heritage. These new generation hybrid plants thrive in a range of climatic conditions and are found growing in gardens in many parts of the country.